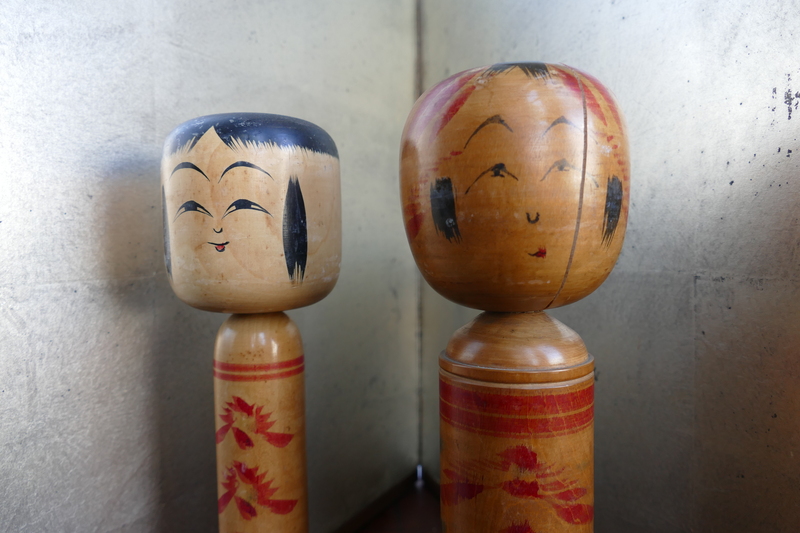 Kokeshi were originally ………..souvenirs for Japanese tourists and offered entertainment to children. However, they developed into something much more. The dolls are fascinating, shocking, sad or mundane depending on the perspective. Kokeshi dolls date back to the beginning of the 19th century and are still very popular in Japan. If you have a good look on the faces you will identify all those very little and slight differences in facial expression. This can make one believe how personal the message of these dolls was to the family and the little child. Who knows what was first the doll`s facial expression or the child`s face who was then modelled into the doll`s face. At least all these dolls` faces are admirable pieces of art and life. and yet it seems to be a secret or an enigma when thinking of the use as a sexual innuendo.